It started like every other call from the editors of a magazine, we have a cover shoot coming up, need you to shoot it in the next day or two, oh and we do not have any money. I will be honest I just want to take great pictures so the “no money” part has never really bothered me that much. What did bother me though was that I was shooting two great climbers and I wanted to create images that would showcase their talent. The main image needed to be a cover image with blue sky above for the type. 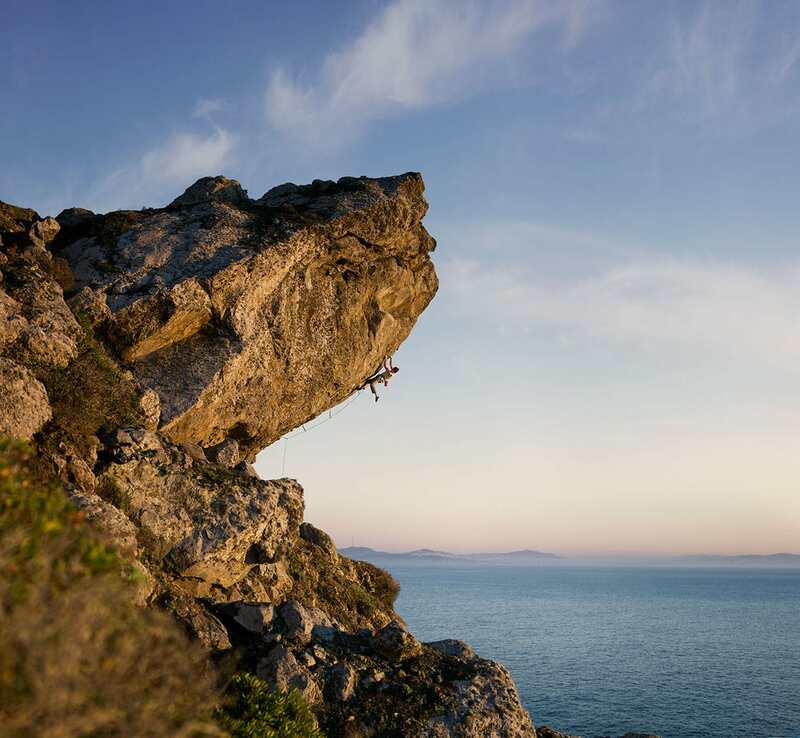 Seems simple but if you think about most of the climbing imagery you see, the climber is going up, makes sense but then the rock face would be intersecting the headlines and title of the magazine, just what the editors had asked not to have. Endless bummer Rock at Stinson Beach was perfect for this but because of the location, on a steep hillside surrounded by poison oak, it was only good for one shot, maybe two. 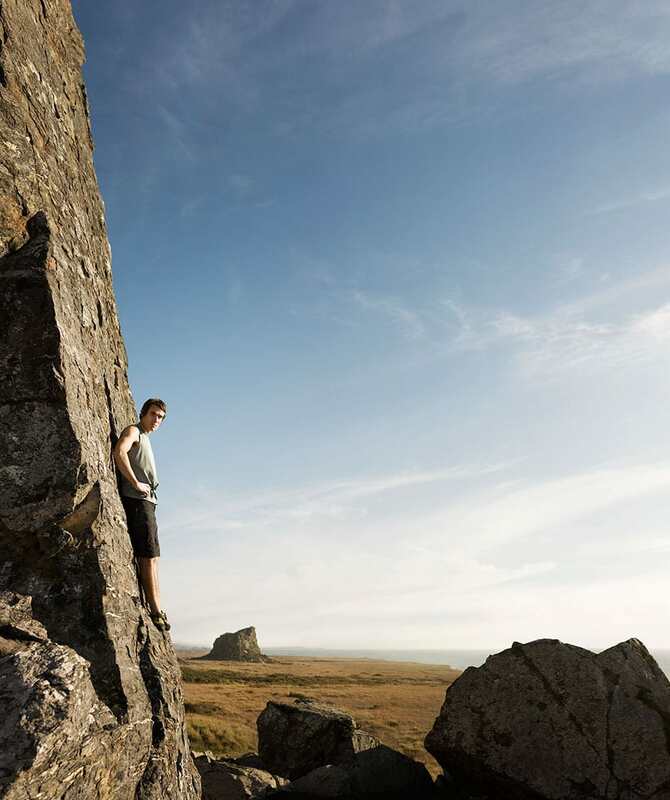 We also decided to shoot at Goat Rock in Sonoma to get the more lifestyle type imagery and a couple portraits. What more could I ask for, two amazing climbers, two beautiful locations, and perfect weather. It is one of those scenarios that I joke about, if I can take a great picture under these circumstances then I need to find another career. I did spend a crazy number of hours researching/scouting locations, shooting, editing, retouching the imagery, I got a nice case of poison oak., oh and there is the no money part, so maybe a different career might not be such a bad idea. 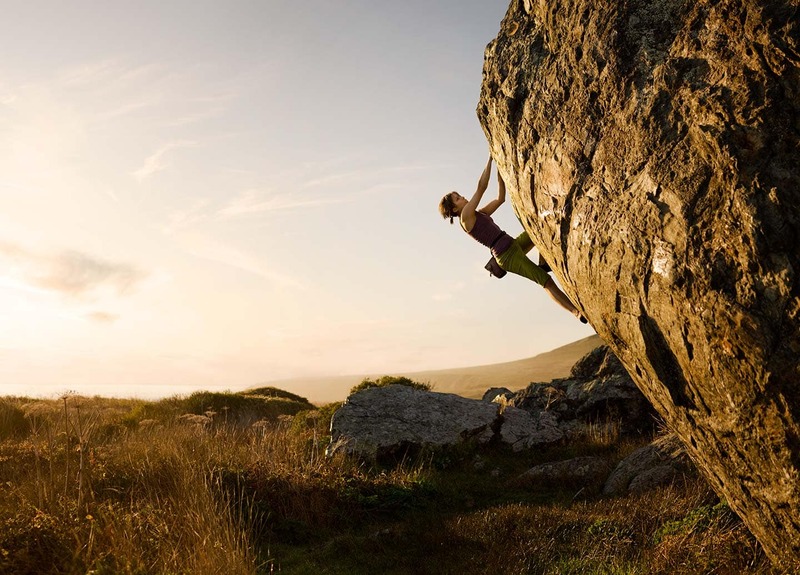 Ethan Pringle Rock Climbing Endless Bummer Rock at Mickeys Beach & Natasha Barnes Bouldering at Goat Rock in Sonoma, CA.